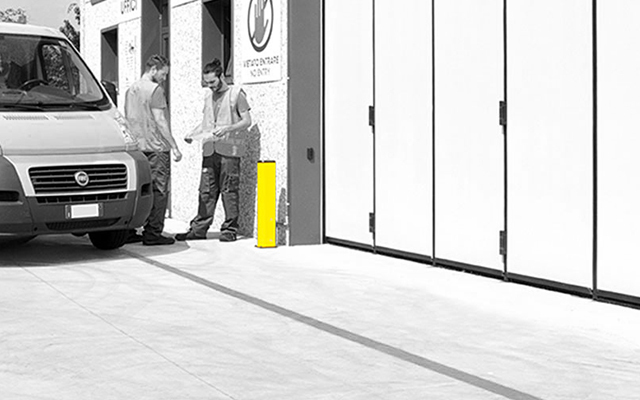 As inventors of Tensabarrier®, the safest barrier on the market, Tensator® understands the importance of a safe working environment. Tensator® has partnered with MPM plastic profiles to supply their latest innovation, Impact Protection. 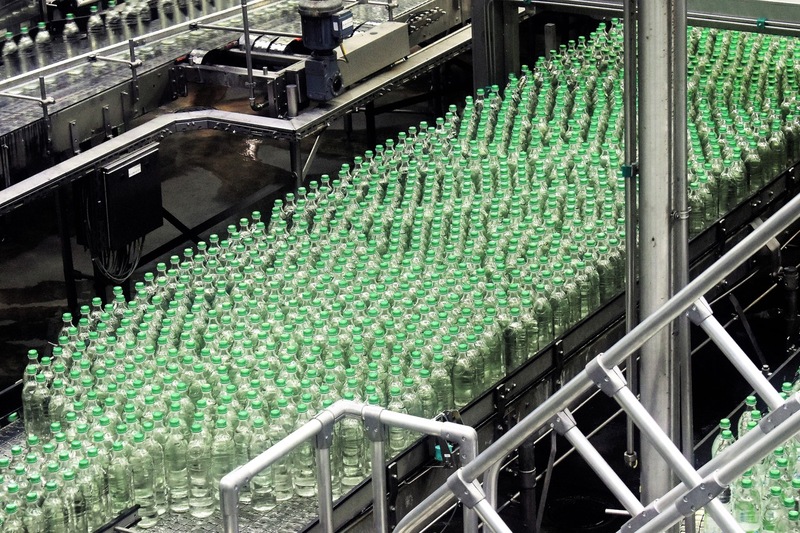 The range enables you to identify potential hazards before they cause harm, restrict access to dangerous areas and clearly define workplace policies. Not only does this system protect your workforce, but it also provides essential protection to your building, equipment and assets. Note: Currently we are only able to supply Impact Protection products within the European region. 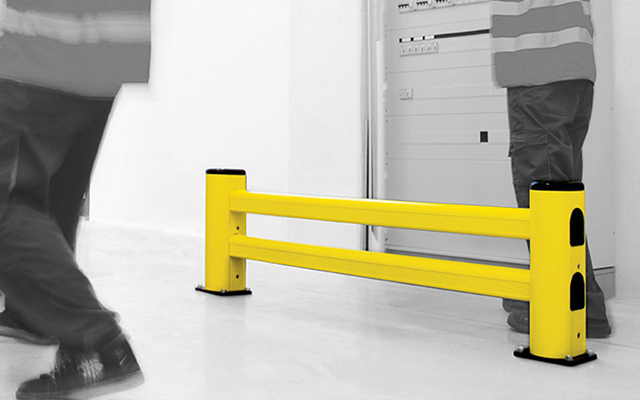 Impact Protection barriers are made from PVC which has many benefits as workplace protection, especially from vehicle hits. Find out why PVC is better than a metal counterpart and how it can benefit your business. Long life material that requires less maintenance. PVC flexes upon impact and won’t damage equipment and flooring. Up to 97% cost saving on repairs and replacements compared to metal. Doesn’t lose shape or deteriorate, even in external weather conditions. Fire class V0; a self-extinguishing and non-flame spread material. Antibacterial and saline, gasoline, oil, alcohol and acid resistant. 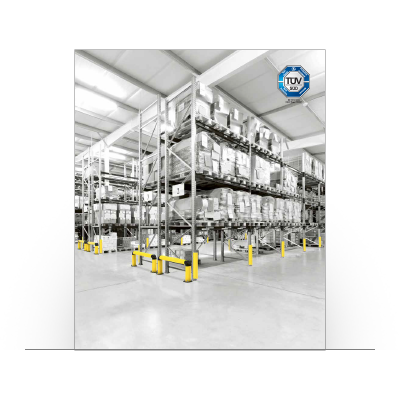 Protects pallet racking and shelving from forklift and other vehicle hits to maintain rack integrity, avoid repair or failure, and ultimately reduce stock loss and personal injury. 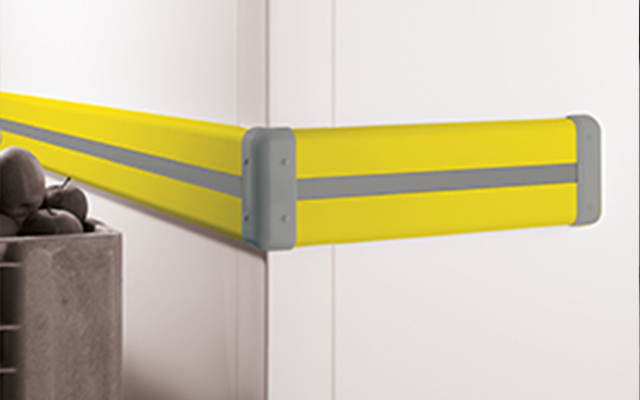 Bumper system for protecting walls and other areas from vehicles and like forklifts and trolleys. Ideal for areas where the driver can’t see the target area and to avoid wheel clips on low items. Cordon off pedestrian areas and protect pedestrians from vehicles and equipment with this range of barriers. Suitable for indoor and outdoor applications with weather and UV resistance. 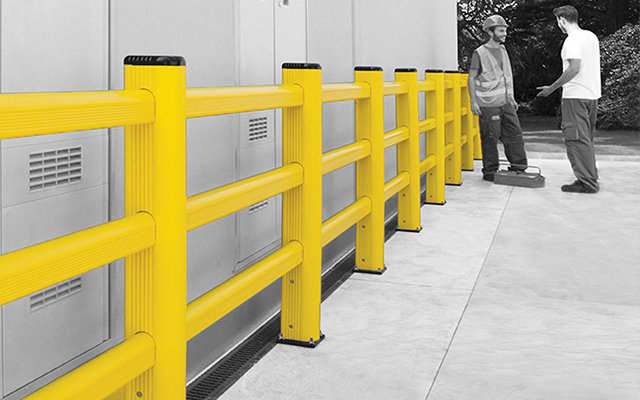 Designed to protect access doors, gates and critical building infrastructure from large vehicles. 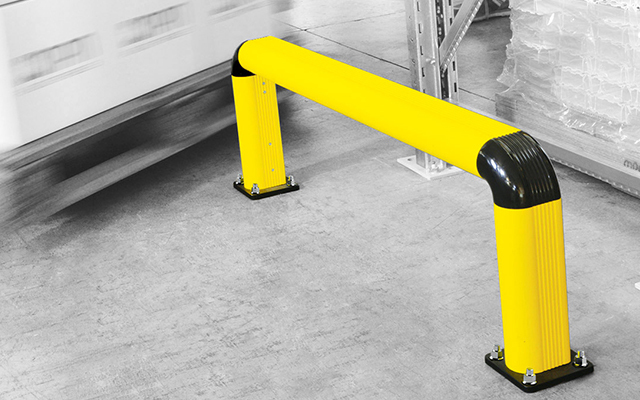 Used mainly in loading areas or to highlight restricted access to pedestrians and vehicles. Designed to protect critical infrastructure, prevent building collapse and subsequent catastrophic consequences. Can also be used to protect equipment like fire extinguishers, electrical points and medical provisions. 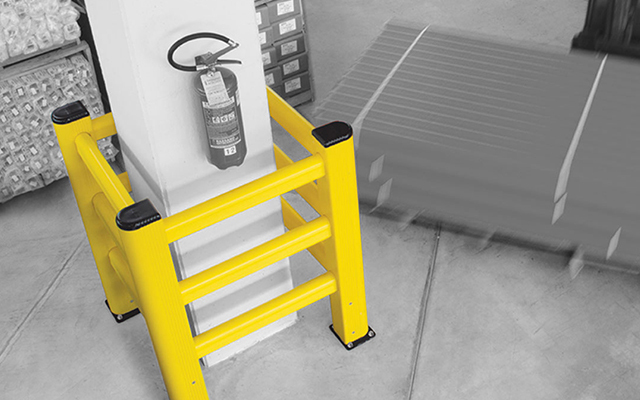 Designed to protect key wall sections that succumb to frequent damage from trolleys, pallets and vehicles. Ideal for the prevention of repairing and replacing walls and equipment. Find out more about Impact Protection and what it can protect within your workplace. Think you know the true extent of health and safety in 2017 in the UK? See our infographic to find out. We understand each business, their requirements and goals are different. With our extensive knowledge and expertise we can help achieve your aims. Complete the form below with your enquiry and we will be in touch. What is Access Control Management and How do I use it?